Relocating is exciting, but it is a lot of work. Not only do you have to work with a real estate agent to find a new place, but you also have to help your family adjust to the changes that lie ahead. One family member that may have a particularly difficult time is your dog. He doesn’t really know what is going on, but he can sense that there is a big adjustment coming up. Dogs can pick up on human distress and start to experience it themselves. As they struggle with these feelings of anxiety and not knowing what is coming, they may start to show destructive behaviors as a reaction. Excessive licking of self or others. Chewing on furniture, shoes, or other non-chew toy items. Howling at night or when separated from owners. Digging holes in the yard. Going to the bathroom indoors. Darting out the door or digging holes under fences to escape. Most dogs adore summer and see it is a fantastic opportunity to explore and run around in new places. There are several steps you can take to ensure your dog has a glorious healthy summer without becoming ill or having an accident. Some of the most important tips include keeping your dog hydrated at all times and preventing them becoming sunburnt. You may also wish to keep them away from toxic plants, lungworm and artificial grass. Let’s explore some of the best ways to get your pet ready for summer. Sunburn can be just as harmful to pets as it is to humans. Too much sun can lead to skin cancer, and certain dogs are at significant risk of sunburn. These include white-furred, hairless, light-coloured and short-haired dogs. If your dog does become sunburn, you can apply natural treatments like aloe vera to the red or raw area. Make sure your dog has breaks from the hot sun and benefits from an adequate amount of shade. It’s essential that you don’t leave your dog out in the hot sun for too long. Soil and natural grass tend to play host to a number of hazards including snails and slugs. Your dog can become affected by lungworm if he or she swallows a slug or snail so it’s a good idea to remove them from your garden as soon as you spot them. Some dog owners are now investing in installing artificial grass in order to avoid the lungworm problem. By using fake grass you can massively reduce the number of slugs and snails in the your garden in the first place. There are plenty of synthetic grass companies like Forever Green Lawns who supply and install artificial grass which is pet friendly. It’s wise to know which plants do and don’t pose a threat to your dog. Obtaining a list of toxic plants will help you work out which plants you shouldn’t be keeping in your garden if you have a dog. 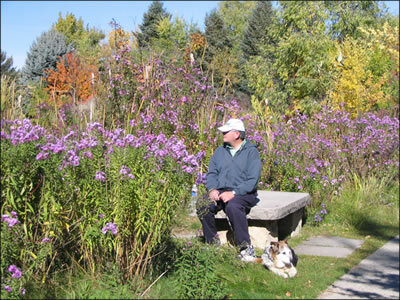 If you don’t want to get rid of your plants you could consider making the area in question inaccessible to your dog. Some plants can be more hazardous than you might expect – apple seeds pose a significant risk. Hydration is just as important for dogs as it is for humans. Dogs can become dehydrated frighteningly quickly, so always ensure there’s a good supply of water at home and when you’re out and about. Grooming is also important. Long hair can cause accidents and make your dog uncomfortable, so it’s wise to give them a trim as the temperatures rise. Claws can also become snagged and cause accidents. Regular brushing should help your dog remain comfortable. A dog tag with your contact details on will help if you become separated from your dog. Do you need a dog kit? It’s a good idea to invest in a pet kit for when you and your dog are on your travels. Kits tend to include everything you might need to keep your dog happy when you’re away from home, including food, bowls, treats and toys. Chilled gel packs placed under the collar will also keep your dog comfortable whether they’re playing in your garden or out walking. You can even invest in special jackets to keep dogs cool. Some dog owners have even purchased special boots for protection from hot sand, glass and many other hazards. Sudden bursts of activity can lead to pain, so if you do like to take your dog out for a long runabout at the weekend, make sure they also get ample exercise during the week. By taking note of a few simple instructions, you can give your dog the summer he or she deserves, prevent them from getting ill, becoming lost or being hurt in an accident. Science Daily article reports that your dog’s tail-wagging style does indeed mean something to other dogs. 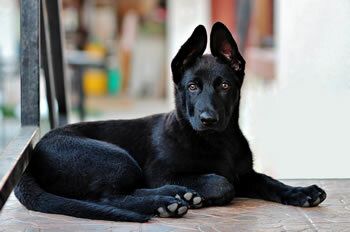 Researchers showed dogs videos of other dogs with either left or right-asymmetric tail wagging. See their results in this Science Daily article. 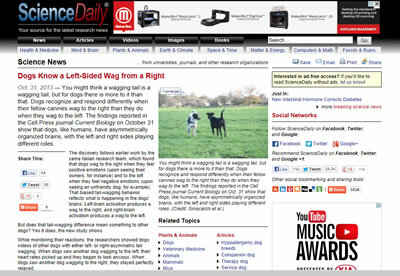 Dogs know a left-sided wag from a right.